The original vision for the build. Lawrence drew this drawing of the car before the construction started. Photo courtesy of Paul Garrison. A photo of Lawrence's Mercury taken after he moved to San Diego. Photo courtesy of Paul Garrison. A photo of the Merc as it sat in the late 1970s. Taken by Pat Ganahl, this photo was published in Street Rodder Magazine circa 1977-1978. The same photo was also published in Wheels Magazine November 1978, a Swedish magazine. When the photo was published in Wheels Magazine, it was wrongfully credited to Göran Ambell. Another photo from the Street Rodder and Wheels Magazine article. Photo by Pat Ganahl, from The HAMB. A photo of the Merc taken at Billetproff in 2002. Photo courtesy of reventlow1957. A rear end shot, showing the exhaust that ran through the fenders. This version did not have taillights. Photo courtesy of reventlow1957. The Merc at the 4th of July cursing in Lillestrøm, Norway in 2011. Photo by Tommy Frantzen. Courtesy of Frantzenracing.com. Photo by Tommy Frantzen. Courtesy of Frantzenracing.com. The old sport custom at the 2016 Coupe Devils Rod & Kustom Bonanza in Blaker, Norway. 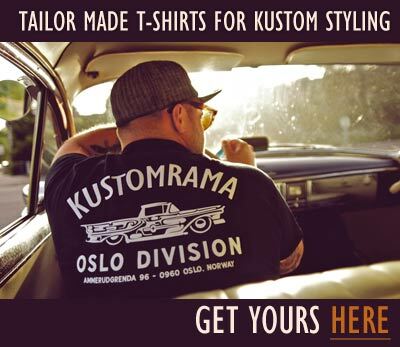 Photo by Sondre Kvipt - Kustomrama. A photo of the Merc taken in October of 2017. Photo by Sondre Kvipt - Kustomrama. October 26, 2017 Øivind Henriksen at Hot Rod Service began building the inner structure for the padded top. 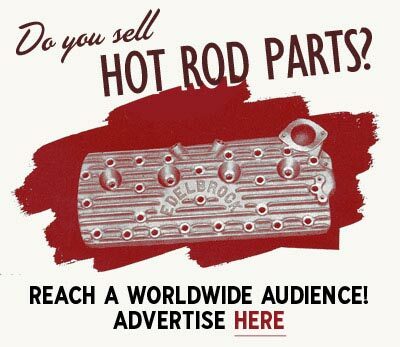 Photo courtesy of Hot Rod Service. Photo courtesy of Hot Rod Service. The project as it sat November 15, 2017. Photo courtesy of Hot Rod Service. The Lawrence Garrison Merc as it sat in January of 2018. The framework for the padded top is now completed, and it is ready for upholstery work. Photo courtesy of Hot Rod Service. 1940 Mercury convertible owned and restyled by Lawrence Garrison of Boston, Massachusetts. Restyled in the 1940s, the body on Lawrence's Mercury was channeled over the frame. The fenders were kept in the stock position, so the hood had to be sectioned after the channeling. The body was then lowered additionally by chopping the top. The car was nosed, decked and shaved for door handles, and the gas filler pipe was relocated to inside the trunk. It featured 1940 Ford headlights, and full fadeaway fenders. The front bumper was from a 1947 Chevrolet, while the rear bumper was from a 1947 Buick. The exhaust was routed trough the rear fenders, and the body was painted Ruby Maroon. Inside, it ran a 1939 Mercury dash. A padded top wrapped up the low slung build. During WWII the car was shipped to San Diego. In 1967 Dave Christensen of Redlands, California found the car at a used car lot in Redlands. It was stored at a family business called Royal Muffler on Eureka St. It is believed that the padded top that had been on the car was stolen around that time. Dave bought the car and got it back on the road again. Dave eventually passed the car on to his grandson Matt Volk of San Luis Obispo, who got the old custom up and running again. In 2006 Matt sold the Merc to Patrick Orosco of Monterey, California. 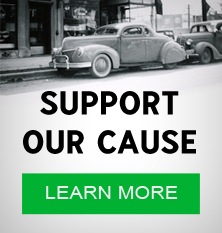 When Patrick bought the car, it was believed that the build had been started in 1942, at a San Diego body shop. After the war ended, in 1945, it was sent to a Burbank shop and finished to come degree of completion. Dave Christensen, who had owned a number of Vally Custom cars during the 1950s and the 1960s, thought the Merc might be a Valley Custom creation. When Matt sold the car to Patrick, it still had the patinated burgundy paint. Matt sold it as it sat, when he got it from his grandpa, without a grille and with minimal interior. Patrick modified the car by removing the exhaust that ran through the fenders. He also installed taillights and a grille on the car, before he finished some minor body work in his dad's shop, and gave it a flat black paint job. It was also upholstered in white tuck and roll. In 2008 Patrick told Ken Gross that he had anticipated a full-blown restoration, "to bring it up to show quality." But due to several other projects he decided to advertise it for sale; "I’d like to see it go to someone who has the ability to take it all the way and do the car right," he told Ken. At the time, Orosco considered offers in the $50,000-60,000 range. In February of 2011 Patrick still owned the car, and he advertised it for sale on eBay. In 2011 the Merc was sold to Birger Meland of Lier, Norway. 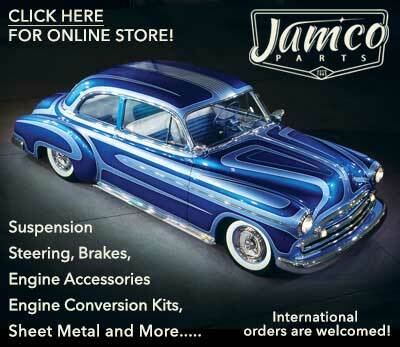 Subscribe to our newsletter and receive updates on Lawrence Garrison's 1940 Mercury and other subjects featured on Kustomrama. If you have additional information, photos, feedback or corrections about Lawrence Garrison's 1940 Mercury, please get in touch with Kustomrama at: mail@kustomrama.com. This page was last edited on 8 April 2018, at 03:10.